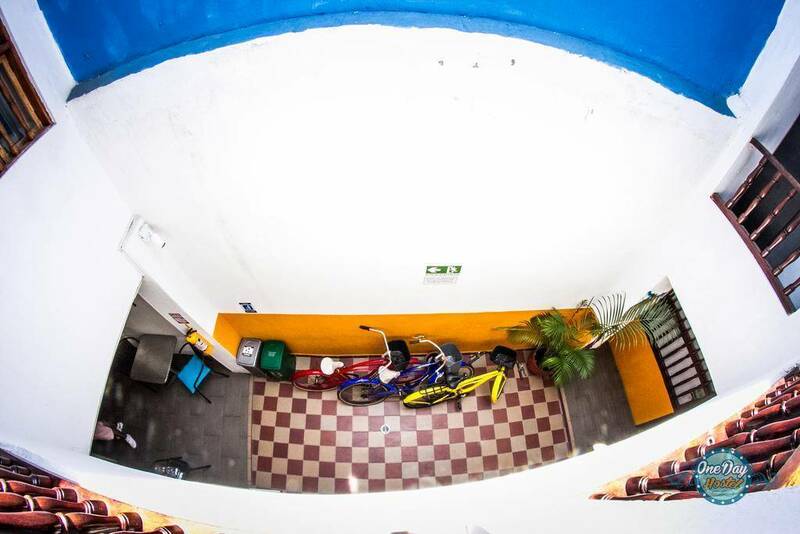 Offering a shared lounge and a 24-hour reception, One Day Hostel is located in the most famous neighborhood of the city thanks to its historical value: Getsemaní, nearby numerous places of touristic interest where you can arrive quickly by walk! 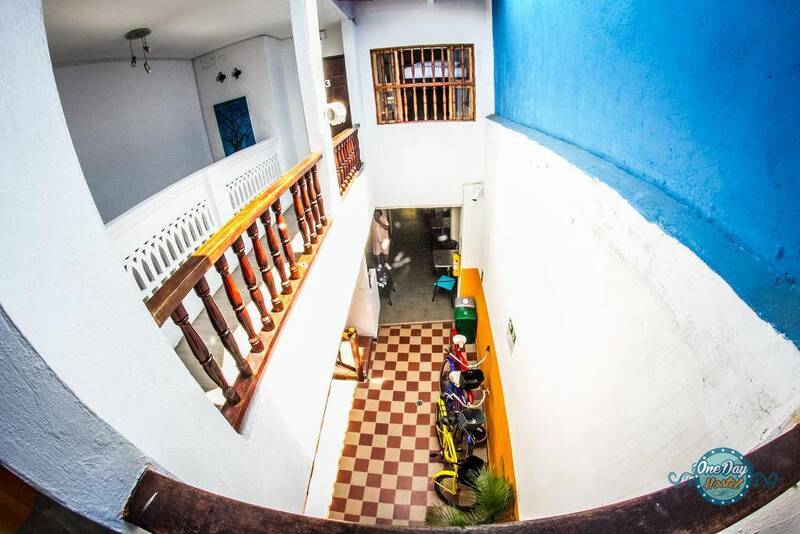 One Day Hostel counts with three lounge areas with sofa, library, table games, good music and a nice social atmosphere, perfect to chill out while you drink a refreshing local beer and talk with new friends. Also, our friendly staff will be always for you to help. Free WiFi is available in the entire hostel and of course: breakfast is included. 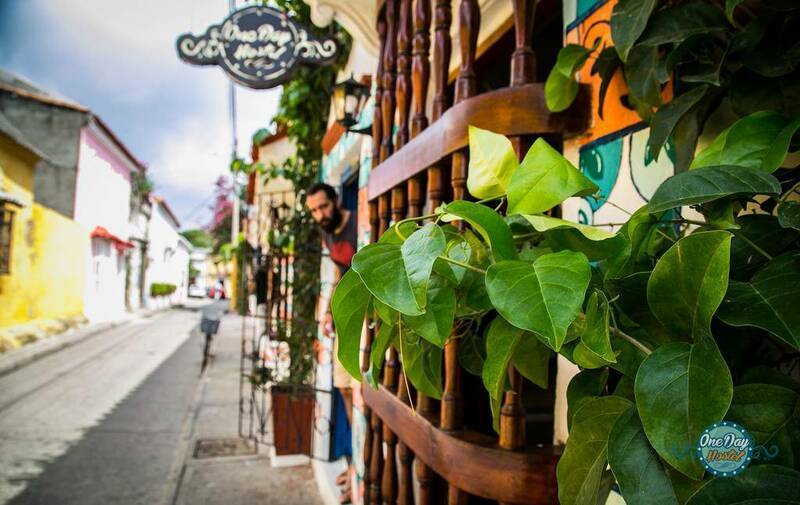 This is our guests' favorite part of Cartagena, according to independent reviews. This property also has one of the top-rated locations and value. Guests are happier about it compared to other properties in the area. One Day Hostel counts with three lounge areas with sofa, library, table games and good music, perfect to chill out while you drink a refreshing local beer and talk with new friends. Shared bedroom for 4 persons, with private bathroom and night-time air conditioning; shared bedroom for 6 persons, with outside shared bathroom and all-day air conditioning; shared bedroom for 8 persons with private bathroom and air conditioning; private rooms with TV, air conditioning and outside shared bathroom. All rooms have bed linen and functional décor. All rooms have bunk beds (except the private ones). 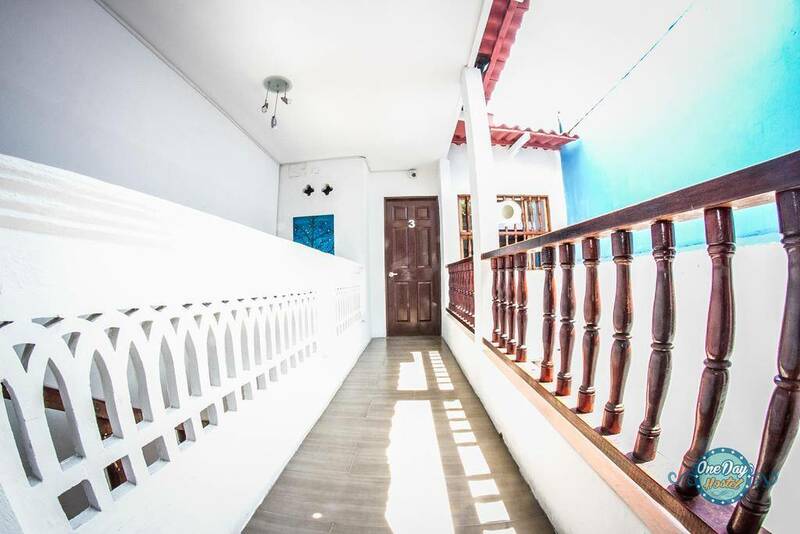 One Day Hostel is located in the most famous neighborhood of the city thanks to its historical value: Getsemaní, nearby numerous places of touristic interest where you can arrive quickly by walk! As the San Sebastian de Pastelillo Fort, San Felipe De Barajas Castle, the Palace of the Inquisition and the Cartagena Gold Museum, along with Cartagena's historic walled City. 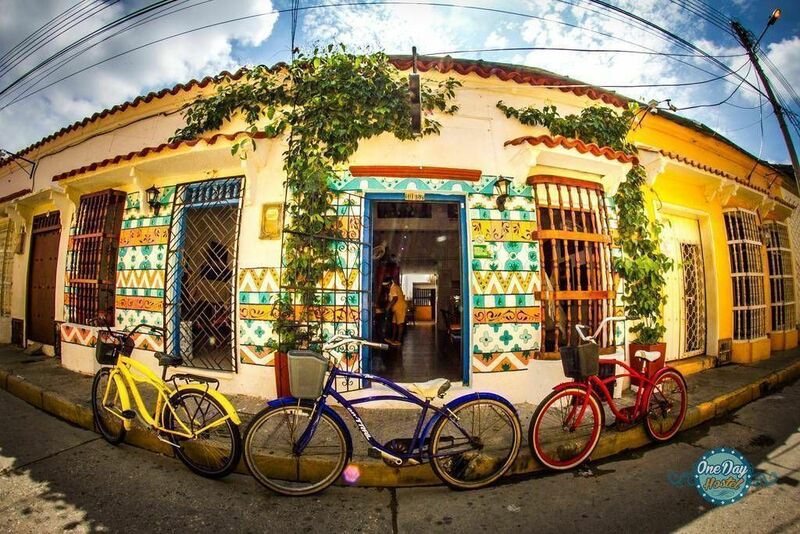 Getsemaní is a great choice for travelers interested in city walks, architecture and old-town exploration, the neighborhood counts with several restaurants, pubs, shops, bars and squares like the Plaza de la Santísima Trinidad full with many locals and visitors from the entire world. If cancelled or modified up to 3 days before date of arrival, no fee will be charged. If cancelled or modified later or in case of no show, 100% of the entire booking will be charged. 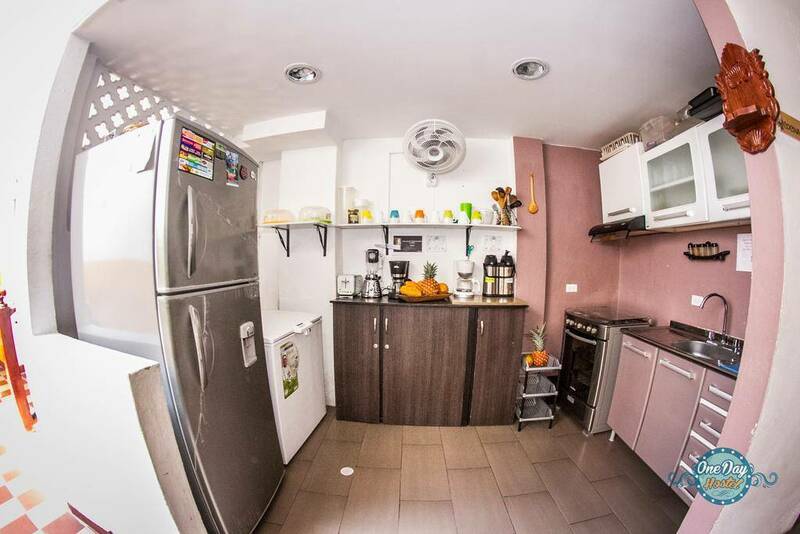 Located within a 10-minute walk from the waterfront in Cartagena de Indias, in the historic neighborhood Getsemaní, Street 26 "Calle de las Chancletas", #10B-67. You can easily arrive from the airport to the hostel in approximately 20 minutes by taxi for just 15000 COP (USD5). Also you can take a bus by one square from the airport for 2000 COP (USD 0. 66), it will leave you in the old town, in front of the “Monumento a la India Catalina” and walk to the hostel for approximately 10 minutes. From the bus terminal to the old town, it's almost one hour, you can take a taxi for 20000 COP (USD 6. 67). Nearest airport: Aeropuerto Internacional Rafael Nuñez, 7km from the hostel.